On June 3, 2013, John Garrett Smith was arrested and booked into the Clark County, WA Jail. He was charged and later convicted of Attempted Murder II following a bench trial held on December 1 - 3, 2014 before Judge Robert A. Lewis. A key piece of evidence used to convict Mr. Smith was a voicemail on his iPhone.The recording of the incident was taken when Mr. Smith was attempting to locate his iPhone by calling it from his landline. The State alleged the audio depicts Mr. Smith’s attempt to murder his wife. On June 2, 2013, the iPhone that captured this voicemail was logged into evidence at 10:31:52 PM, 38 minutes prior to the alleged assault. The recording was made at 11:10 PM, after the iPhone had been logged into evidence by the Vancouver Police Department. The evidence log regarding the Chain of Custody Report identifies the iPhone as item 1455-002, and does not identify how the evidence got into custody before this crime was committed. John Garrett Smith has asked repeatedly for the opportunity to address the issue of verifiably manufactured evidence used to falsely convict him. His attorneys have actively prevented that, and as a result, have perpetuated a grave injustice against an innocent man. 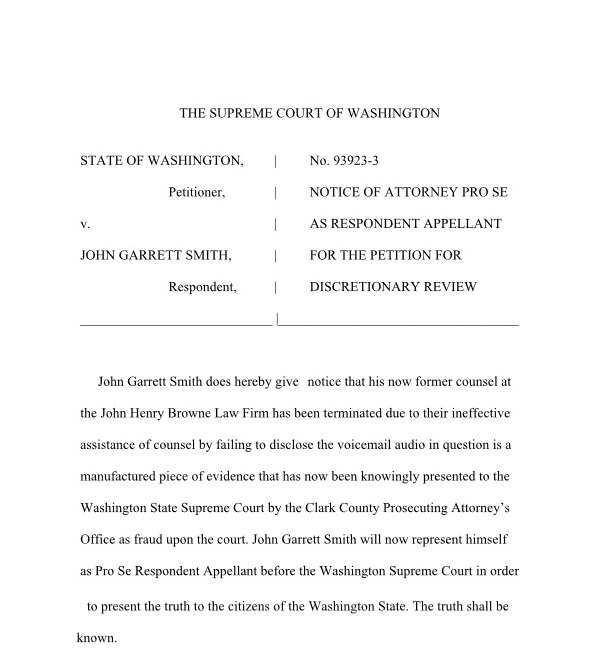 A decision released today by the Washington State Supreme Court to grant discretionary review for the COA II reversal of Garrett Smith's wrongful conviction opens the floodgates to expose the fraud and fabrication of evidence by Detective Sandra Aldridge before Washington State's highest court. On March 9th, oral arguments were heard by the 9th Circuit Court of Appeals regarding the infamous Clark County wrongful conviction of Ray Spencer. Mr. Spencer, an innocent man, spent nearly 20 years in prison due to the Clark County belief, still held today, that as long as a detective thinks someone is guilty, she is free to fabricate evidence to ensure conviction. 9th Circuit Court Judge Andrew Hurwitz found this Clark County position "astonishing". 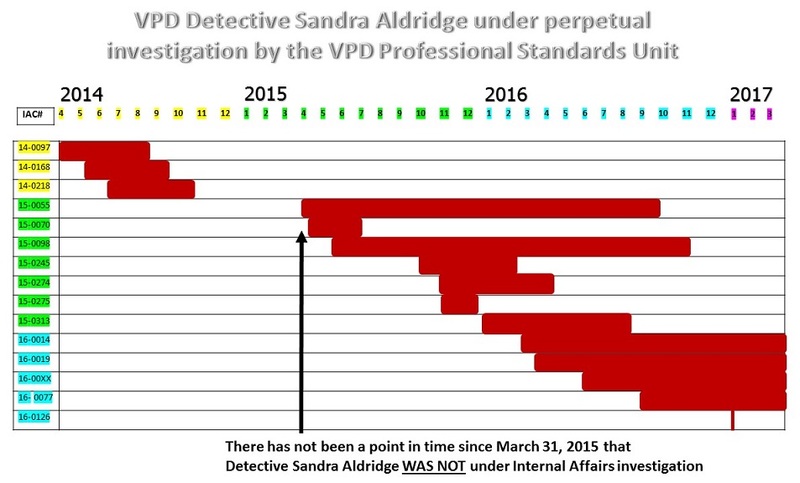 Will the Supreme Court Judges find it "ASTONISHING" when they discover the evidence around which they are tasked to make a decision was tampered with and altered by lead detective Sandra Aldridge? Are "Brady Cop" Qualifications changing in WA State? 9th Circuit Judges found the position "ASTONISHING" held in Clark County, WA thatif a Detective believes an individual is guilty, she escapes liability for FABRICATING EVIDENCE against the individual.